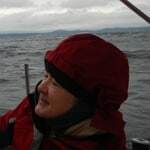 De is a sailor, photographer, retired software engineer and intermittent author who since the late 70’s has published both technical writing and essays on various topics ranging from feminism to technology and environmental issues. She has lived on Cortes since late 2011. Her motto: Show me the math. Access her articles on this website here. Bruce is one of the founders of the Cortes Community Forestry Co-operative and is one of the six members of the Cortes Fortestry General Partnership. Prior to that he was president of the Cortes Ecoforestry Society. A logger turned oyster and organic fruit farmer, Ellingsen is a fourth generation descendant of the first European family on Cortes Island and grew up in coastal logging camps. He graduated in commerce and business administration from UBC and has been involved in Island politics since the 1970s. – Access his articles and podcasts on this website here. 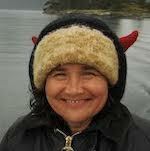 Francesa is an author/producer living on Quadra Island. She produced Cortes Radio’s contributions to the National Campus and Community Radio Association’s 2018 and 2019 Rendevous de la Francophonie marathons. Access her podcasts on this website here. Cortes Currents occasionally publishes items which it believes to be of value to the community at large. These can be from organizations or individuals. You can access them here. Roy is the President of Cortes Currents and also the Cortes Radio Society, where he has produced a web platform and radio program (originally called the ECOreport) since 2014. 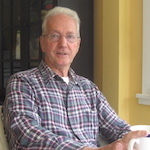 He has had over 2,000 articles published, in print or web publications, since 1982. A large number of the latter were republished on Clean Technica. Roy lives at Squirrel Cove, on Cortes Island. Access his articles and podcasts on this website here. started learning about forestry in the early 70’s, first in engineering and survey with MacBlo on Vancouver Island, then in treeplanting all over BC. 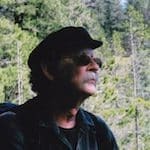 He discovered Cortes soon after the ferry service started, and bought a home in the early 80’s, making his living in construction and woodworking. “By managing my own land I realized it takes at least a century to grow big trees that produce good wood.” David became active in conservation issues. Access his articles and podcasts on this website here. Rex is a writer, ecologist and co-founder of Greenpeace International. 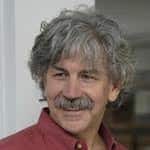 His books include Blood of the Land, a history of indigenous American nations, nominated for a Pulitzer Prize; Greenpeace: The Inside Story, a finalist for the Shaughnessy-Cohen Award for Political Writing; and The Jesus Sayings, a finalist for the BC Book Award. 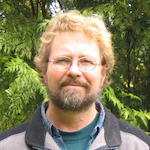 He lives on Cortes Island and currently posts the “Deep Green” column at the Greenpeace International website. Access his articles and podcasts on this website here.